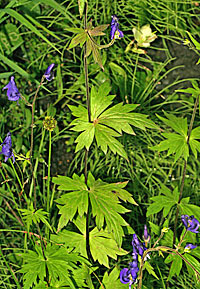 Aconitum columbianum, Monkshood, growing in a marshy roadside area near a little stream, aspen forest near Gothic Colorado, 9,400 Feet, July 19, 2007. 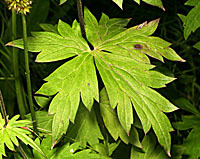 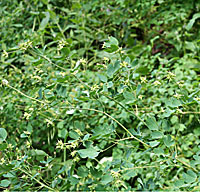 Height 1.3 meters, leaves stem alternate, three lobed. 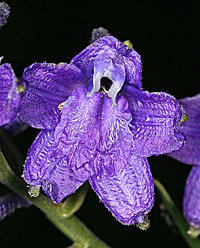 length 85 mm, width 125 mm, flowers about nine per raceme, width 13 mm, length 12 mm, height 23-30 mm. 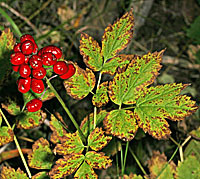 Actea rubra, Baneberry, a poisonous plant growing in moist habitats growing at 9,000 feet along the Barr Trail east of Colorado Springs, Colorado. 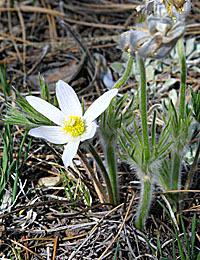 Anemone canadensis, Northern Anemone, growing in marshes near Guanella Pass, elevation 11,600 feet, July 3, 2007. 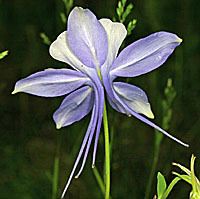 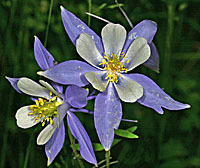 Aquilegia coerulea (eagles claw, blue), the Colorado Columbine, is the state flower of Colorado. 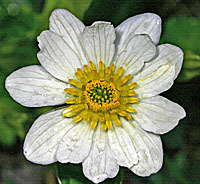 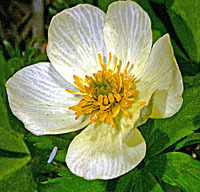 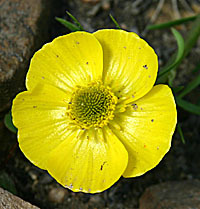 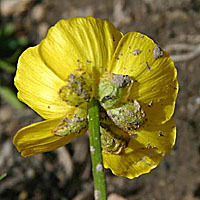 Caltha leptosepala, Marsh Marigold, growing in marshy areas near Guanella Pass, elevation 12,500 feet, June 24, 2005. 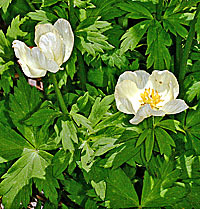 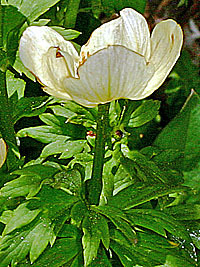 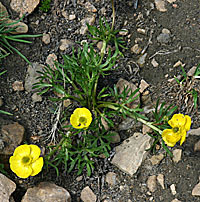 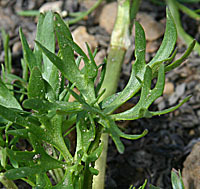 A marsh growing buttercup often growing in water near melting snow. 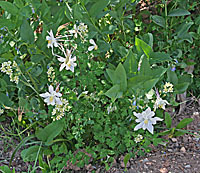 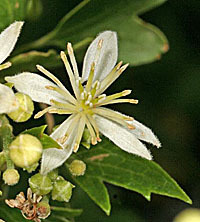 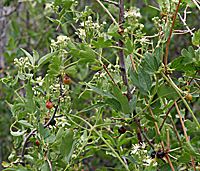 Clematis ligustifolia, Western Virgins Bower, growing on Ribes aureum, Garden of the Gods, Colorado, 6,400 feet, July 7, 2006. 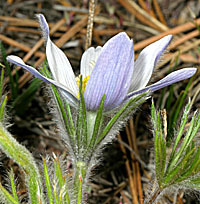 Delphenium (little dolphin) nuttallianum, Nuttall's Larkspur, growing in a moist mixed conifer forest in Sugarite State Park, New Mexico, elevation 8,100 feet, August 18, 2006. 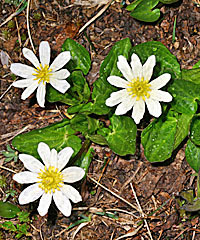 Substrate is slimy mud, Morrison Formation. 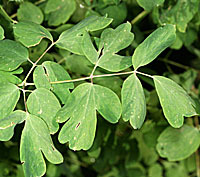 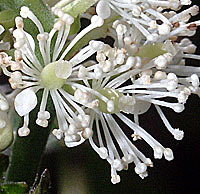 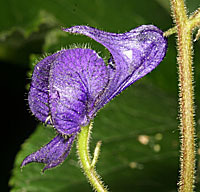 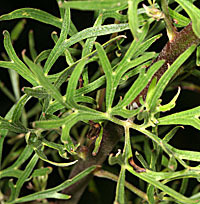 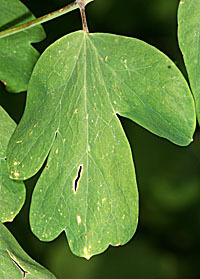 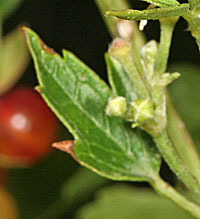 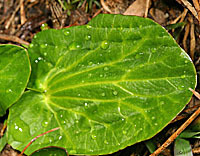 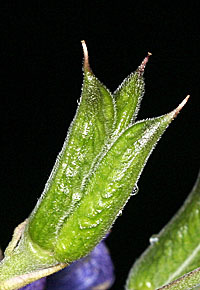 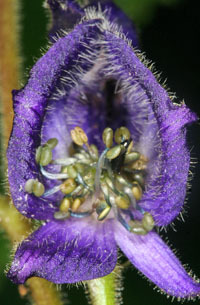 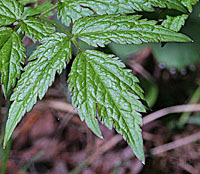 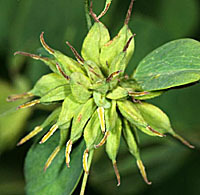 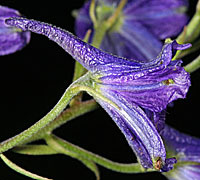 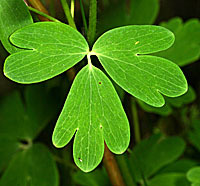 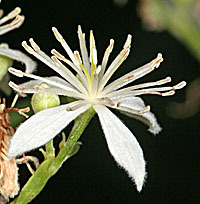 Height 76 cm., erect and columnar, flowers 25 mm long, 17 mm wide, leaves much divided, alternate, length 45 mm, width 45 mm., petiole length 17 mm. 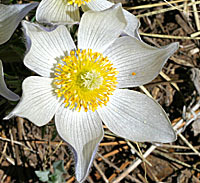 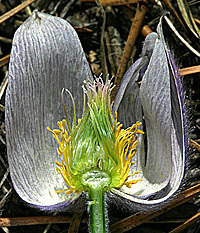 Pulsatilla patens (pulsing with wind, spreading), Pasque Flower, growing in Lowell Gulch , 8640 feet, May 9, 2004. 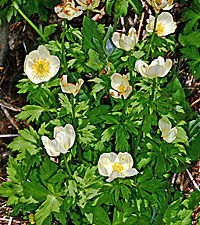 Ranunculus adoneus, Alpine Buttercup, old snowbank hollow just North east of Weston Pass, Colorado, 12,000 Feet, September 6, 2007. 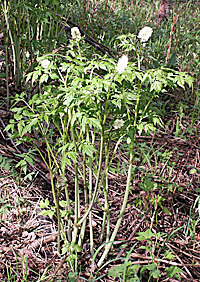 Thalictrum fendleri, Fendler's Meadowrue, thickets in a moist subalpine forest of Picea engelmanii, Cedar Breaks National Monument, Utah, elevation 10,500 feet, July 29, 2006.